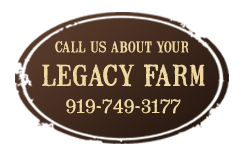 Legacy Farms and Ranches of North Carolina offers NC real estate brokerage services to Central North Carolina landowners. We have over 50 prime farm and ranch properties to choose from. Many have homes with lakes, ponds, waterfront views and horse amenities, while others are timber and land investment tracts. Serving Central North Carolina, our brokers comprised of Gardner Reynolds and Frank Gombatz of Fonville Morisey have over 50 years combined experience and millions of dollars in past marketed and sold properties. See new listings here. CONTACT US TO SELL OR BUY A FARM. CONTACT ME TO SELL OR BUY A FARM IN CAROLINA! 1143 James Norris Road, Angier- Charming Craftsman 2 BR / 1.5 BA Ranch on Nearly 6 Acres! The Wrap Around Porch Provides Lots of Space for Relaxation While Overlooking Front Yard & Huge Pecan Trees! Formal Living Room w/ Fireplace Leads to Open Kitchen / Family Room w/ Fireplace. 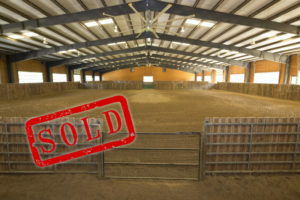 Bring your Horses w/ 2 Stall Barn, Pasture, Huge Storage Building / Workshop, Barn & Round Pen. Sold In "As Is" Condition. Grace Cove Estate at Falls Lake- Exquisitely Designed Estate Home on 30 plus private acres near Falls Lake! Heavily wooded, gated, paved drive, 8000 plus square feet, pool and more! This exceptional property is located just minutes from Falls Lake and close to both Raleigh and Durham. Built in 2008, the custom 5 bedroom, 7 full bath home offers all of the amenities, outdoor porches and patios, pool and jacuzzi, custom waterfall and Koi pond and extensive landscaping throughout. 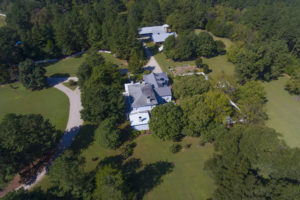 North Carolina Equestrian Ranch for Sale Texas Style!- This Equestrian ranch has 3 Homes, Professional Arena with Private Apartment, Multiple Barns with over 35 Stalls, Round Pens, Multiple Paddocks, Fenced Pastures, Roping Pen, Cattle Chute, Dog Kennels, Private Lake, Pool, Tennis Courts, Basketball Court and much more! 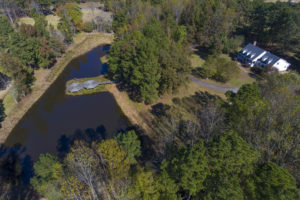 Just a little over an hours drive from Raleigh or Wilmington, this ranch is comprised of approximately 485 acres! 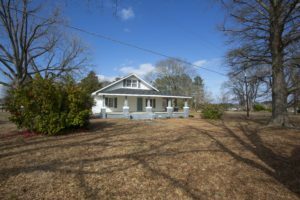 Historic 1800’s Southern Plantation Home for Sale- If you've ever entertained the thought of having income-producing property in the beautiful North Carolina countryside, then there is an opportunity that you won't want to miss. It doesn't happen often that a unique property with a sterling reputation and proven business income becomes available in our area. Browse more land for sale in NC. Legacy Farms and Ranches is a brand that you can trust with qualified agents that know farm, ranch, and land properties. For decades, the rural lifestyle is what we live and know. 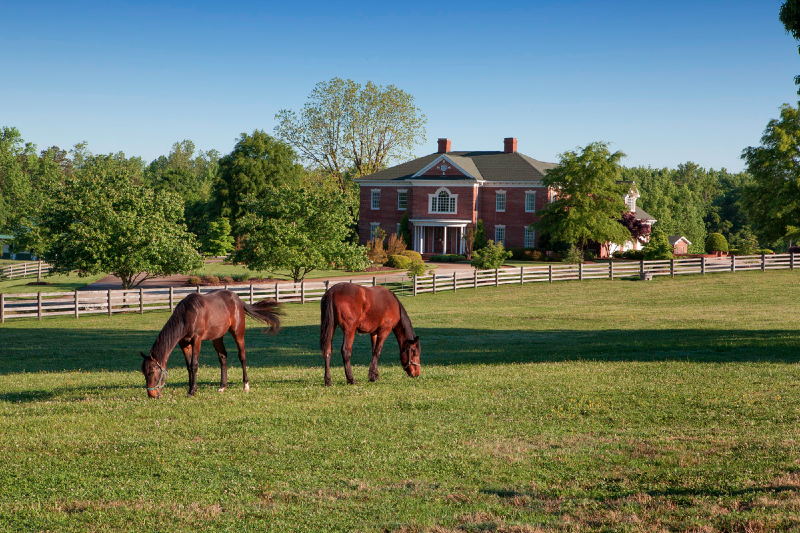 From sporting properties to equestrian estates, Legacy Farms and Ranches has an experienced and professional staff here to serve you with all of your brokerage and NC real estate marketing needs. How much is my farm worth? How about my family land portfolio? Farm & Ranch Marketing Videos: What Makes us Unique for Marketing Your Specialty Property? Watch one of our custom HDTV Style Video Productions and see how we customize each property presentation and will tell the unique story of YOUR FARM! Client Testimonials: See what others say about Legacy Farms and Ranches of North Carolina! 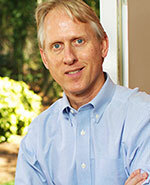 Frank and Gardner strive to give the highest level of customer service to their clients. Read below to see just a few of the testimonials they have received over the years. Serving Central North Carolina, they have over 50 years combined experience and are top producers with millions of dollars in annual sales. 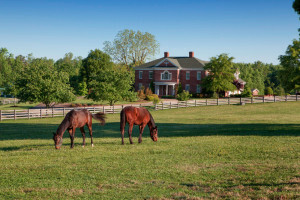 You’ve made the decision to buy a horse farm in Central North Carolina. You couldn’t have picked a better location. Central North Carolina is a beautiful area with great schools, health care, cultural centers, and recreational opportunities including sports, parks, and entertainment. This area’s ideal weather offers year-around riding and you are in short driving distance to the best our state has to offer in veterinary care, show facilities, equestrian trails, and educational opportunities. Keep reading to find out more on Triangle Area Horse Properties For Sale and Surrounding Areas. Will this affect open land in North Carolina? Read more and look for more information coming soon on hemp stores, hemp farms, hemp jobs, hemp oil, seeds, permits and NC hemp processing. Land and Timberland Investments continue to provide long-term substantial returns for many investors. Inquire about many properties we have access to that aren’t on our website. Recreational Retreats? Call on ways Legacy Farms and Ranches consultants can help you develop your NC real estate into the recreational retreat of your dreams. 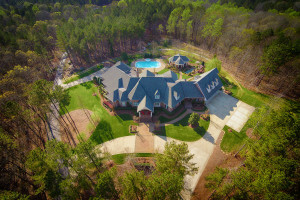 Legacy offers Top Marketing, HDTV Style Videos, Photography and more for your NC Real Estate listings! 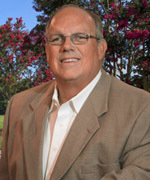 Frank Gombatz & Gardner Reynolds are licensed brokers with Fonville Morisey Realty in Raleigh, North Carolina. NC land for sale,NC farms for sale,NC ranches for sale,NC realtors Frank Gombatz and Gardner Reynolds,Legacy Farms realtors,Wake County real estate,Orange county real estate, Triangle Area Horse Properties For Sale can be found on our website. Are you interested in putting your farm on the market or searching for your dream property? I can help you with all of your real estate needs! You deserve a realtor you can trust, and one who will work for YOU. Call me and we’ll get started today! Help me Sell or Buy a Farm! Let us broker your North Carolina Land! Discover the power of the Legacy Farms and Ranches brokerage and marketing platform! Market your N.C. Equine properties and Horse Farms here with the North Carolina Horse farm marketing specialist!